Sequel to the film that started the Marvel Cinematic Universe, Iron Man 2 (2010) featured the return of Robert Downey, Jr. to the role of Tony Stark as he comes to terms with his believed impending demise by re-instituting his father’s Stark Expo (putting a global spotlight on scientific discovery), passing his armor in a roundabout way to his friend James “Rhodey” Rhodes (portrayed by Don Cheadle), and engaging in reckless behavior like race car driving and drunken armored partying. Stark would come to be challenged by Ivan Vanko (played by Mickey Rourke), Russian physicist and son of the man who co-created the original arc reactor with Howard Stark (Tony’s father), out for revenge as Howard had Vanko’s father deported for trying to sell the arc reactor (who was then imprisoned in Russia until his death). Vanko would find an ally in Justin Hammer (played by Sam Rockwell), Stark’s inept competitor who unwittingly provides Vanko a drone army of arc reactor empowered robots. 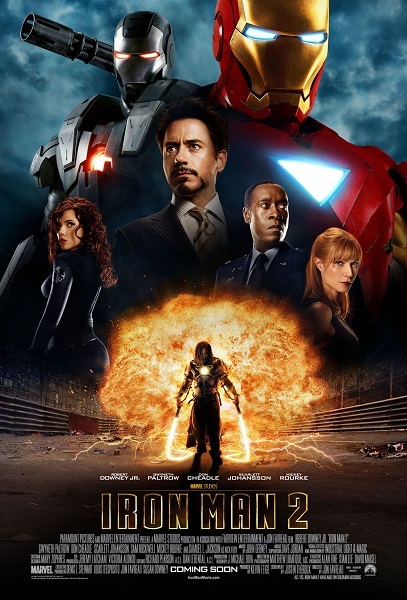 Iron Man 2 was a worthy successor to the original film, advancing the sub-stories of Stark coming to terms with his absent father and developing the role of S.H.I.E.L.D. in not only the film series but the MCU. Rourke played an intriguing character, an absolutely terrifying psychopath with a sick sort of charm about him. Any scene with Rourke was instantly enhanced as he portrayed some mash-up between Whiplash and Crimson Dynamo when he first confronts Iron Man and later as some enhanced Iron Monger with an army of drones. Iron Man 2 was a very good movie, its placement in this list largely dictated by the ever slightly better quality of the other Marvel Studios productions. When talking about the Avengers, the first name you likely consider is Captain America despite the fact he wasn’t even a founder. For a long time, when mentioning Marvel Comics, the individuals who likely came to mind first would be Spider-Man, Captain America, and Hulk. And when you think of leadership in the Marvel Comics’ universe, there’s no one above Captain America. 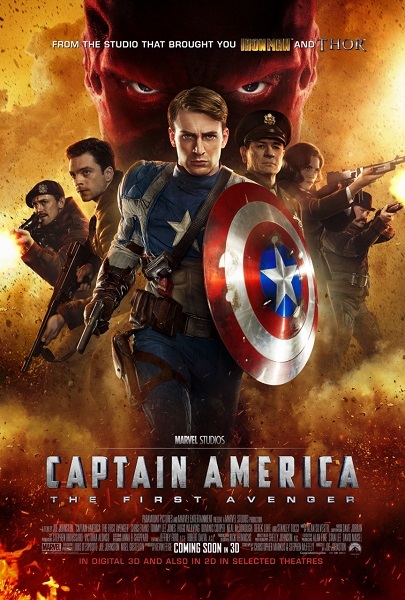 Of all the Marvel Studios films to tackle, this was the one that probably had the greatest need to succeed because while Iron Man enjoyed a great deal of success which translated to exposure, next to Spider-Man, Captain America is the most recognized character for the Marvel brand (one that predates Spider-Man by over two decades). Further, the character’s roots in World War II presented a challenge as the four previous films of the Marvel Cinematic Universe were firmly planted in the present day. However, Marvel Studios not only took the situation in stride by adapting its formula for the time period, they made their film a crown jewel for the first phase of their film slate with an emphasis on the Tesseract (known as the Cosmic Cube in the comics and presented as an Infinity Stone in the MCU). For Captain America: The First Avenger (2011), Steve Rogers (portrayed by Chris Evans) is a small, frail man from Brooklyn desperate to join the war effort and is chosen for an experiment to create a super soldier. A success, the process to make more such soldiers was lost and Rogers as Captain America battled the Nazis, targeting a division called Hydra led by the Red Skull (played by Hugo Weaving), close confidant to Adolf Hitler, which employed an artifact called the Tesseract to produce weapons of destructive capability without measure to that point. In this, Rogers was joined by several notable allies including SSR officer Peggy Carter, scientist Howard Stark, best friend/soldier Bucky Barnes, and the Howling Commandos (portrayed by Hayley Atwell, Dominic Cooper, and Sebastian Stan respectively). By the time First Avenger emerged, Marvel Studios had more or less nailed down the balance for one of their signature films including drama, action, and comedy. Evans shined as Captain America, displaying a boy next door charm mixed with a man of action attitude in many ways embodying the best qualities of mankind (with a desire for peace but ability to fight, strength tempered with humility and patience). The film was built on the back of Evans, as well it should with him as its focus, but the supporting cast pushed it over the top. 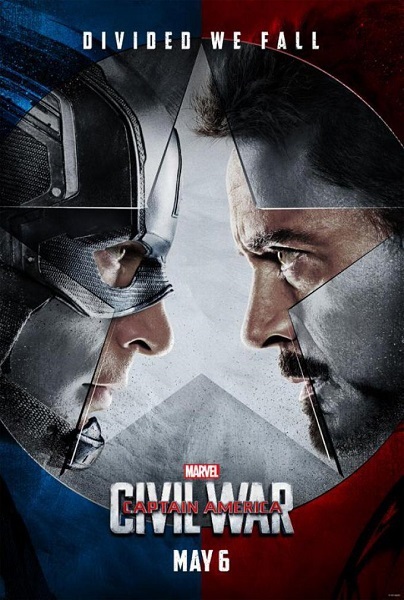 Again, a very good movie, but the quality of Marvel Studios’ other films simply inch past it. Sequel to the film that brought the pieces of the Marvel Cinematic Universe together, Avengers: Age of Ultron (2015) continued elements of Captain America: The Winter Soldier (2014) as the Avengers try to wipe out the remnants of Hydra and also moves ahead the subplot of its series’ first film by reclaiming the Chitauri Scepter employed by Loki to enslave members of S.H.I.E.L.D. later stolen by Hydra. Further, it more closely pulled the series toward the ultimate conflict with the Mad Titan Thanos (portrayed by Josh Brolin) by uncovering the scepter’s Infinity Stone. For Age of Ultron, Tony Stark learns within the scepter is a means to create a self-aware artificial intellect he hoped could be used to protect the world from danger (making the Avengers obsolete in a manner). Dubbed Ultron (played by James Spader), the program instead decides its best course would be to wipe out humanity. Alongside Inhuman Hydra test subjects Quicksilver and Scarlet Witch (portrayed respectively by Aaron Taylor-Johnson and Elizabeth Olsen) and another artificial construct in the Vision (played by Paul Bettany), the Avengers must try to stop Ultron and his army of drone automatons. 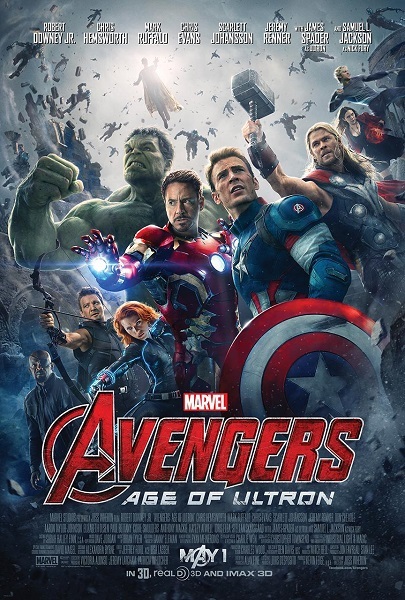 What’s appealing about Age of Ultron is the number of hands its able to play over the course of the film. While there’s the main story involving Ultron, the picture also plants seeds for upcoming projects Captain America: Civil War and Avengers: Infinity War. But arguably the wisest subplots involve furthering the stories of characters who don’t benefit from their own films in Hulk (save the 2008 picture), Black Widow, and Hawkeye (portrayed respectively by Mark Ruffalo, Scarlett Johansson, and Jeremy Renner). However, serving so many needs is perhaps the only minor drawback to the film which has to play to the major cast of ten characters within the same frame of time its MCU contemporaries have for about half that size. But again, this is a minor gripe as the various interconnected films and TV series supplement the picture giving more room to play with so many elements.